Have you seen the commercial for the Microsoft tablet featuring one of the executive producers for Marvel films? This woman makes incredible pictures enjoyed by people all around the world, and she is passionate about it. Her secret to success? She says she works hard—14 hours a day, seven days a week, and she has kept that schedule for decades. She jokes that her only super-power is lack of sleep. It’s funny. Every time I see the ad, it does not make me want to run out and buy a Surface. Instead, I find myself yearning for her super-power. Just think how much I could accomplish if I didn’t require much sleep. Instead of taking the time to pamper my weak composition with the rest I desperately need, I could blaze a trail of glory for the Kingdom of God. I imagine all the people who could be reached, all the lives that would be touched by the presence of Jesus and transformed by His Spirit. I want to do great things for the Lord, and if I just had more hours I could do even more. All the dreaming about possibilities quite honestly makes me exhausted. Doesn’t Jesus care more about my heart attitude than my faulty measurement of productivity? Blazing a trail of glory as I burn the midnight oil doesn’t impress Him. He examines the motivations of my soul. The Scriptures encourage us to follow Jesus Christ’s example and walk in humility. and was born as a human being (Philippians 2:5-7). In fact, that is the crux of the Christmas story. The Son of God willingly left the splendor and perfection of heaven, and humbled Himself to be clothed in human flesh. He chose the high road of humility as the way to bring the gift of salvation to the world. Rather than appearing as a fully developed man, he came as a tiny baby, helpless and dependent on his parents for survival. He was not born to royalty; He chose a poor family. The Savior’s arrival was heralded by angels, yet he was housed in a stable and had an animal’s feeding trough for a bed. That, my friend, is humility. None of it accidental; all of it planned. But Jesus went even further. and died a criminal’s death on a cross (Philippians 2:8). From the beginning, the Messiah’s mission was to die for us. He laid down His life in shame and agony to pave the way for us to enjoy a relationship with our Heavenly Father and to look forward to a heavenly home. All of this was accomplished because He chose the high road of humility. More than the super-power of lack of sleep, I desperately need the super-power of humility. In order to truly touch others with God’s love, I must learn to chose over and over again the high road of humility. Heavenly Father, I acknowledge that I want to do great things for You. Sometimes I think I need to be great in order to do great things. Teach me what it means to humble myself in obedience to You. Help me to remember that following Christ’s example of humility is the most powerful way I can make a difference in this world. In Jesus’ Name. Amen. “I’d like to play the piano for your church services.” She stood before me with a confident smile on her face, a well dressed woman in her forties. She extended her hand and introduced herself. She had arrived toward the end of service and sat quietly in the back. She strode over to the piano on stage, sat on the bench and started to play. “I was married to a pastor for over ten years. I know how hard it is for small churches to find people to help, especially with music.” She continued to fill the sanctuary with lovely music. What she said was true. We had a small church in the middle of nowhere. And my piano skills came nowhere close to her expertise. It would certainly be nice to have some help. Disappointment flashed across her face. “Yes, of course,” she said. She thanked me for my time and walked out of the building. I never saw her again. People who aspire to lead, desire a noble task. Gifted people can be an asset to any church and organization. Unfortunately, while many people possess the knowledge and talent to lead, few of them are willing to develop the traits necessary to be a successful leader over the long haul. Most people want to quickly rise to the top without sacrificing much. However, the best preparation for leadership is to become an excellent follower. This is not a popular message, but it is supported by the teachings of Jesus. Those who aspire to lead, must first develop some key traits. Leaders must learn to serve others. They do not use their position to take advantage of others and use them as stepping stones to where they want to go. Instead they realize that God has granted them authority to serve and be a blessing to others. “Jesus called them together and said, “You know that the rulers of the Gentiles lord it over them, and their high officials exercise authority over them. Not so with you. Instead, whoever wants to become great among you must be your servant, and whoever wants to be first must be your slave— just as the Son of Man did not come to be served, but to serve, and to give his life as a ransom for many” (Matthew 20:25-28 NIV). Loyalty is the foundation of discipleship and vital to a healthy church or ministry. Loyal followers demonstrate complete and constant support for their leaders. This does not mean they agree with everything and are “yes-men.” Rather they deal with disagreement and conflict in a respectful manner. They guard against an independent and critical spirit, and work to resolve hurts and offenses, not allowing them to fester. Loyal followers show they can be trusted with increased responsibility. Loyalty and faithfulness go hand in hand. “Whoever can be trusted with very little can also be trusted with much, and whoever is dishonest with very little will also be dishonest with much” (Luke 16:10). Followers prove their ability to lead as they show themselves trustworthy in the little things. As they serve (even in menial tasks) with enthusiasm and joy, desiring to honor the Lord rather than gain the attention of others, they develop faithfulness. “Now, a person who is put in charge as a manager must be faithful” (1 Corinthians 4:2 NLT). Do you aspire to be a leader? Don’t take short cuts. Work hard to develop the traits of humility, loyalty, and faithfulness. Trust the Lord to grant you favor. Determine that in every position you will find ways to serve and be a blessing. Last week I was sick with laryngitis. In addition to a steroid shot, the doctor prescribed lots of honey and lemon, plus no talking until my throat felt better. The time of “forced” silence challenged me to find other ways to communicate apart from speaking. It also gave me pause to ponder what I say with my actions. I like to consider myself a servant leader, one who uses the influence granted to me in order to serve others and equip them to answer God’s call. I enjoy learning and teaching and speaking about servant leadership. But if you take away all my words, how well do I actually practice it? There are areas in leadership that require more than saying the correct words. My actions must solidly support them, as well. This is all about having my words and actions match. Am I consistent in character and principles everywhere I go? Do I back down from doing the right thing when I encounter resistance? Do people trust me with confidential information, knowing I won’t share it with others to gain an advantage? A secure leader is comfortable in the background, allowing others to take credit for success. How important is it that I am recognized as “the leader”? How readily do I give credit to others and praise them for a job well done? Do I respectfully consider people’s ideas even when they disagree with mine? A leader is never above service. Am I willing to lend a helping hand, even when it’s not a part of my job description? When I serve others, are there any strings attached? Is my ambition focused on finding better ways to serve others and make them successful? The foundation of all I do as a leader must be love. Do I genuinely care about the welfare of others working with me? Do I take an interest in their personal lives? How well do I actively listen to others? Do I tend to ask questions to learn more about people, or do I quickly offer advice and anecdotes? We have been called to love the Lord with all our heart, soul, mind, and strength, and to love our neighbor as ourselves (Mark 12:30-31). To do that requires much more than words. Take some time to consider, what do your actions say? I have heard these statements in conversations within the last few months. Servant Leadership is a popular concept among churches and faith-based organizations. It is gaining support in other circles, as well. At the same time, Servant Leadership is also misunderstood. The ideals of Servant Leadership are based on the ministry of Jesus Christ, and represent a higher type of leadership. Sitting down, Jesus called the Twelve and said, “Anyone who wants to be first must be the very last, and the servant of all” (Mark 9:35 NIV). For you have been called to live in freedom, my brothers and sisters. But don’t use your freedom to satisfy your sinful nature. Instead, use your freedom to serve one another in love (Galatians 5:13 NLT). The emphasis on love and serving often paints a picture of gentleness and kindness. Servant Leaders may be mistakenly thought as big-hearted softies, mild manner pushovers allowing conflict to go unchecked and people to do whatever they want. On the contrary, Servant Leaders serve from a position of personal strength and security, confident in the role entrusted to them. Consider five qualities of Servant Leadership and their descriptions. Love is the foundation of Servant Leadership. It is moral love, expressed as “doing the right thing at the right time for the right reason.” It places followers’ interests first because they are intrinsically valuable. Servant Leaders do not shy away from speaking the truth in love, because they desire the highest good for everyone involved. They listen intently to others, seeking to understand and empathize. They affirm and celebrate people, even when rejecting their behavior or performance. Servant Leaders are committed to the personal, professional, and spiritual growth of every person under their leadership. They promote collaboration in an environment of mutual respect. They do not hold protectively to their own power but are willing to share it appropriately with others. Learning opportunities are provided for people to develop their strengths and talents, equipping them to excel in their current positions and preparing them for greater responsibility. Humble leaders are wise leaders. They do not seek elevated status because of position, accomplishments, or talents. They are comfortable in their own skin, understanding their strengths and weaknesses, and readily admitting their mistakes. Servant Leaders believe that their experience, skills, and influence must be used to benefit others before themselves. They realize the position of leadership is a gift from God, bestowed on them in order to be a blessing. Servant Leaders are trusted by their followers. Their abilities to influence and foster a sense of community gain the confidence of others. Trust is a two-way street. Servant Leaders extend trust to others. They have confidence in their followers, and willingly extend responsibility to those who have demonstrated themselves capable of responsibility. Together they are good stewards of the roles and resources entrusted to them, working together for the greater good of society. Servant Leaders are visionary. They intuitively exercise foresight by understanding lessons from the past, realities of the present, and the likely consequences of decisions in the future. They nurture their abilities to dream great dreams, while balancing the day-to-day situations. Servant Leaders enlist others in their dreams by vividly communicating the picture, helping others see the exciting possibilities, and creating a shared vision. Servant Leadership is a powerful way to lead others and build God’s kingdom. It creates an environment in which leaders, followers, and their organizations can thrive. As a student of leadership for the last decade (both informally and through pursuit of formal education), I have been interested in the development of leadership theory. In the early years of the field, the focus was on identifying specific behavior traits of the most successful leaders. It was believed that if others adopted the same traits, they too would be successful. Realizing that there was not a one-size-fits-all approach, experts devised a style by which leaders adapted their behavior according to the maturity of the followers and the tasks needing accomplished. Leadership theory continued to address external behavior and skills. More recently other leadership styles have emerged that center on the heart and soul of the leader. Effective leaders are authentic, possess strong character, and engage life and leadership with wholeheartedness. These types of leadership qualities are more complicated to assess. Servant leadership has perhaps created the most difficulty for researchers. It is distinguished by the feature of placing followers first, even above the organization. Leaders use their influence to serve followers, providing resources and environments for them to grow and succeed. Some researchers do not feel comfortable including servant leadership as a model, because it is deeply spiritual, patterned after the example of Jesus Christ. It originates from a life of faith. While people may be able to adopt certain servant leadership qualities, the genuine motivation to love without strings attached is not easily imitated. And, how can it be measured? This creates a challenge for those of us who identify with servant leadership. Servant leadership is not about merely doing the right things. Yes, the prominent qualities of servant leadership include love, empowerment, humility, trust, and vision. Yes, our followers take priority in our leadership decisions. However, we must remember that servant leadership goes beyond our outward actions. We bring who we are to what we do and how we lead. 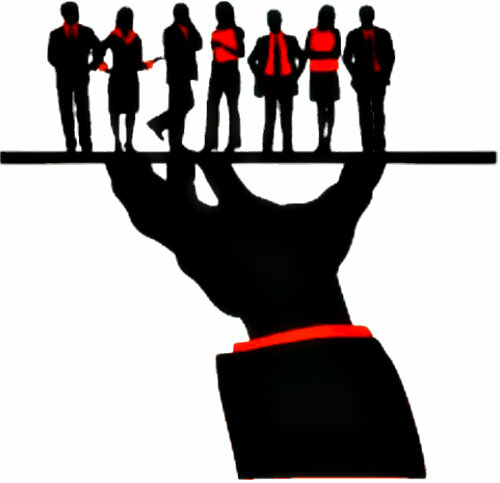 Our natural strengths and willpower are simply not enough to practice servant leadership. True servant leadership flows from a vibrant, growing relationship with Jesus. “We love because He first loved us” (1 John 4:19, NIV). As we walk with Him in daily communion and rely on the Holy Spirit, we are empowered to love and serve those we lead. The fruit of the Spirit is released and expressed through us. So what is the most important relationship for the servant leader? Above the relationship with our followers, and even above the relationship with ourselves, the most important relationship is with Jesus Christ Himself. I encourage you, if you have not already done so, develop a spiritual growth plan. Make sure it includes ways, as my friend Gail Johnsen says, “to keep company with Jesus” (gailjohnsen.com). As we intentionally connect with Him and become more like Him, we will serve and lead as Jesus did. We will be the servant leaders He desires us to be.